Christmas in late February. Family time, daily walks through near-deserted streets, full tables, and hours of couch-lounging after–all feel eerily similar to winter holidays at home in America. 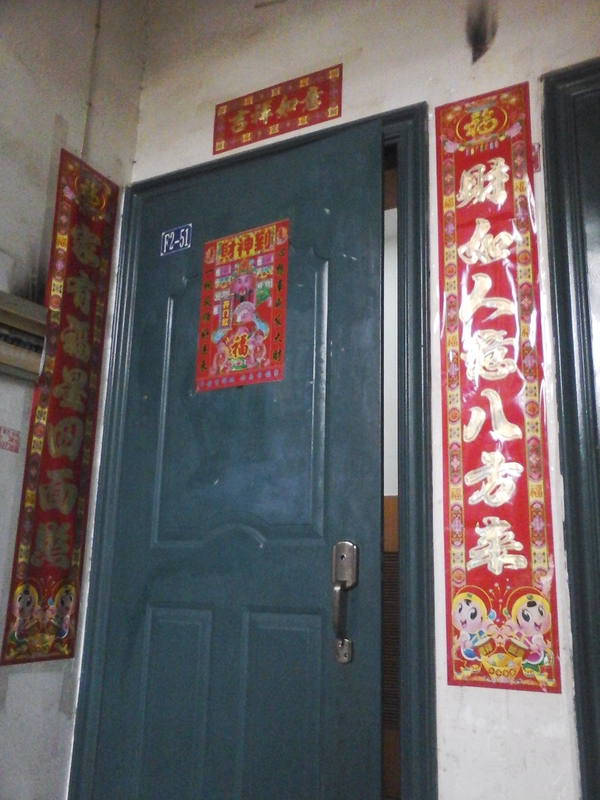 Staying with my student 周婷/Air’s Family gives me a window into the ever-evolving Chinese Lunar New Year celebrations. Despite being banned during the cultural revolution, the Lunar New Year has since rebounded to become the most important national holiday in China. The Nationally-televised New Year’s Gala claims to be the most-watched TV event of the year, with more than 700 million viewers last year. And the international influence of the celebration is ever-growing, with a growing international audience for the Gala the NBA’s Golden State Warriors sporting custom jerseys this year (an interesting expansion of soft power). Like many things in hear, the New Year’s celebration is fraught with tradition. Each day of the two-week period has specific rituals and foods attached to it, often varying from place to place. But much of that is changing. Many traditions, still celebrated in the countryside, are being abandoned by younger generations. Some ritual is specific to the countryside. Air tells me that in her hometown, New Year’s eve is spent outside walking the neighborhood and offering congratulations to your neighbors. In the high rises of the city, though, there is no neighborhood and the day is spent indoors. The fate of fireworks is also unclear. Since their invention here 1300 years ago, fireworks have been used in New Year’s celebrations to clear away the previous year’s evil spirits. But with increasing concerns about air pollution, cities across China have restricted the use of fireworks or banned them outright. 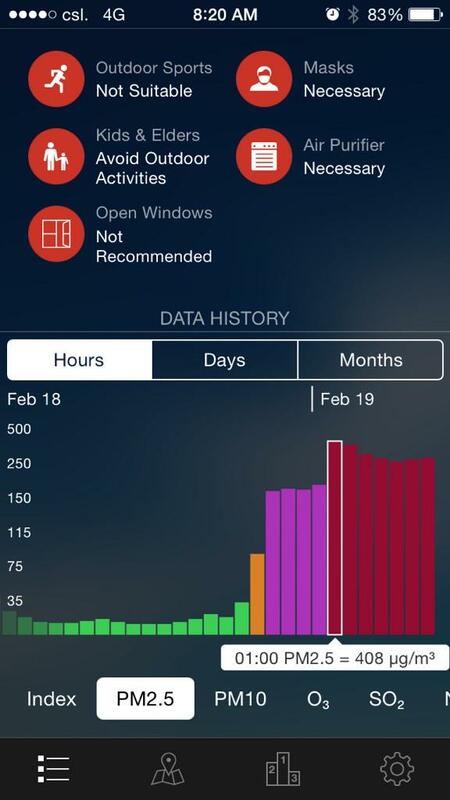 From @austinramzy on twitter, Beijing’s air pollution rise on the night of New Year’s celebration. No matter how restricted they become, though, I find it hard to imagine that fireworks will disappear altogether. When I woke at midnight on New Year’s Day (I had been down with a food poisoning induced fever), the sound I heard was of a thunderous downpour. When I looked outside, though, I saw that the sound was not rain falling, but thousands of fireworks shooting to the sky. The air was thick with gunpowder, and the flashes were everywhere, near and far. It took thirty minutes for the impromptu shows to begin to trail off, and even then the bangs and flashes lasted late into the night. I’ve never seen so many fireworks in one place. So fireworks won’t be going away any time soon, no matter how other traditions may change. In some ways, the force of a changing lifestyle seems to be changing Chinese life more fundamentally than years of politics ever could.